The 1975 Open Championship edition was played in Scotland. That tournament will be always remembered as the first Major Trophy of Tom Watson, a slazenger legend. He won it wearing the Slazenger Blue Golf Jumper. As we said, that year was played in Scotland. It was in Carnoustie Golf Links, in Angus. The par of the field was 72, and the total lenght was 7065 yards. The Carnoustie Golf Links had hosted the Open four times before the winning of Tom Watson at the 1975 Open Championship. After that year, it has hosted the Open only two more times. 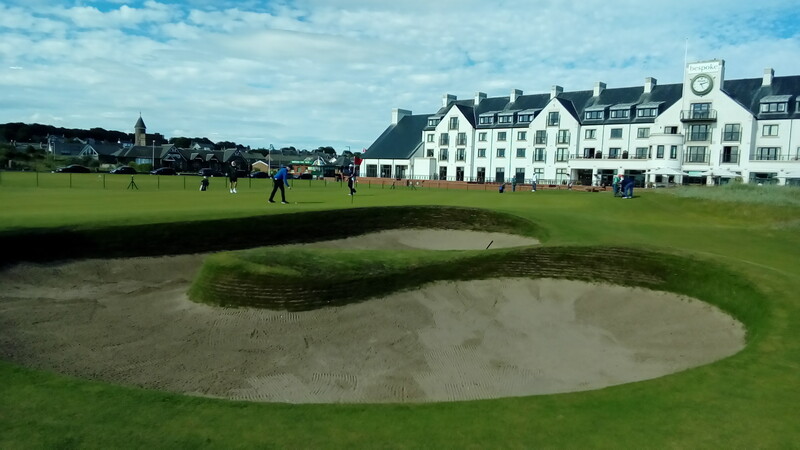 However, next edition of the Championship in 2018 will return to the Carnoustie Golf Links, being the eighth time. In July of 1975, the best golfers in the world went to Carnoustie to compite on the 1975 Open Champinship. After 4 days of competition, Tom Watson became the winner, being it his first Major Trophy. He did it wearing the Slazenger Blue Legend Jumper. His victory wasn’t easy at all. After the first round, he was in a T12 position with 71 shots, 3 after Peter Oosterhuis, who scored 68. After the second round, he was T2 with -6, 2 after David Huish. The third round wasn’t so good, as he finished in the fourth position, three shots after Bobby Cole. The fourth and final day the weather changed. After three days of sun, the wind came making all the scores to go up. However, Tom Watson managed to make it even to par, 72. At the end, his score where -9, tied with Jack Newton. 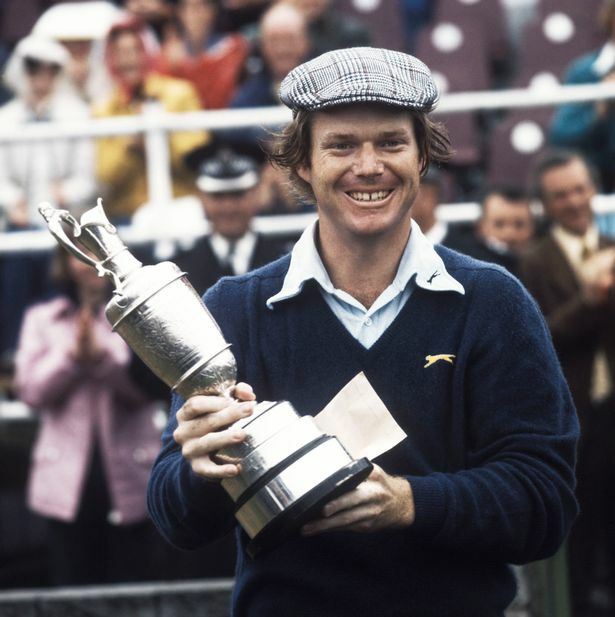 At the final playoff under the rain, Watson beated Newton 71-72 to win the 1975 Open Championship, his first Major Trophy, wearing the Slazenger Blue Legend Jumper. We are really proud to be able to say that we were with him that day. It will always be remembered for us. If you want to feel more like Tom Watson, get yourself the Slazenger Heritage Blue Legend Jumper inspired by him, or any other of our Golf Jumpers inspired in other legends.